They cannot watch Adult films! But that doesn't mean they don't have a voice of their own. 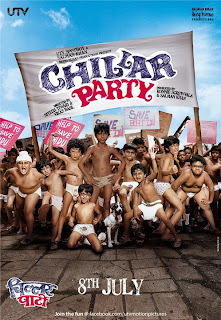 Chillar Party is the story of a bunch of kids from Chandan Nagar called Encyclopedia, Jhanghia, Akram, Secondhand, Panauti, Silencer, Aflatoon and Shaolin in whose lives enter two strangers - Fatka and Bheedu. And together they alter the course of their future by never giving up on what they believe in.